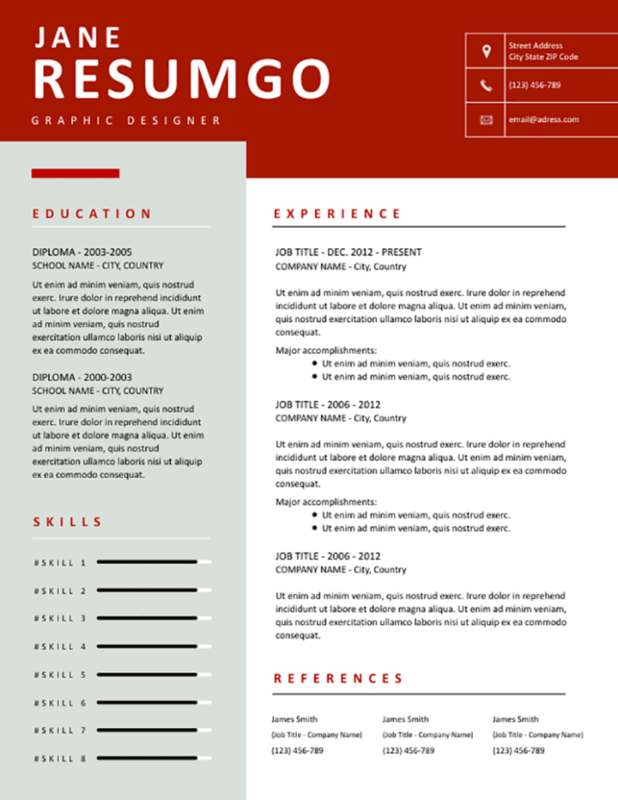 Phaidra is a modern resume template with a full-width prominent rufous-color header banner. Clean two-column layout. If you are looking for a stylish yet professional style for your CV, this template is a perfect choice. Also, it will be great whenever you want to focus the attention on your most valuable strengths: professional experience, education, and skills. Each of the 3 parts (the header, the right, and left columns) uses a distinctive color background. The left part, with a very light green-gray background color, features your education-related information and your key skills (via horizontal bar charts). The right side (white background) mainly focuses on your professional experience (and references, if any).